15,075 visitors thronged the aisles at the “Fairyland for Fashion”, which grouped Messe Frankfurt France’s trade shows dedicated to the fashion industry at one venue. With over 80% of visitors coming from outside France, these shows remain THE all-important event for the global fashion industries. There are no longer regional blocks for each continent that predominate as there used to be. We observed a variation in visitor numbers according to country to different degrees, however not very noteworthy overall except in the case of France, whose numbers continue to grow with a plus of 11%. Further good results were posted for Italy +5%, Russia +7%, Switzerland +16%, India +17%, South Korea +15%, the Lebanon +14%, Canada +7%, Argentina +8%, Colombia +5%, Tunisia +11%, Mauritius +8%. Spain and Italy each move up one place, relegating Turkey to the bottom of the table. 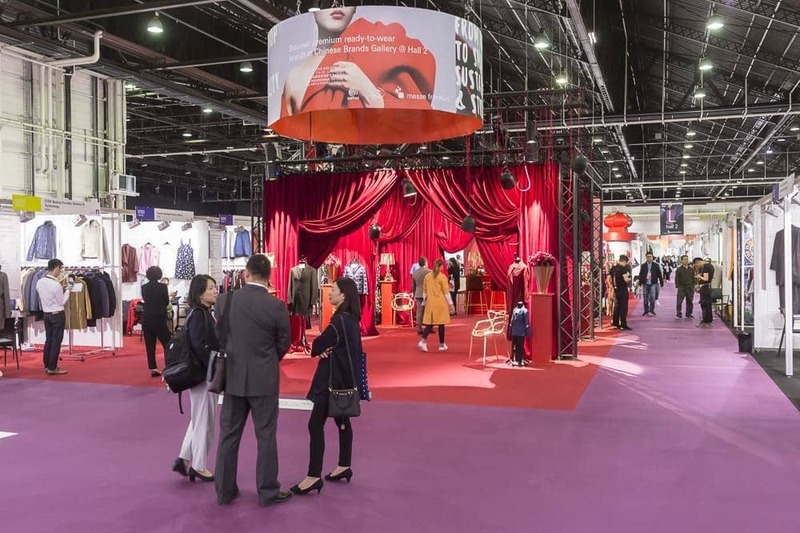 Apparel Sourcing Paris: in a generally gloomy economic climate, buyers and exhibitors at the show for sourcing for clothing production were able to do good business. This year, 17 countries were represented by 690 exhibitors. “The low consumption figures for clothing in Europe made a number of exhibitors fear that it would be a lacklustre exhibition. All in all, this apprehension was swept away fast. Visitors attending the show, number one in Europe for sourcing for clothing production and fashion accessories, all came with tasks to complete here and so needed to do business” explained Michael Scherpe, President of Messe Frankfurt France. Visitors who simply came to get a sense of the current trends or ideas for a project were rare. So there was less “interference” to hinder negotiations between buyers and exhibitors and this resulted in them being more successful. “Apparel Sourcing is an excellent platform for making contact with European fashion brands. The Italians and Spanish certainly appreciated what we offered. The outlook for future results is good. We did business with some niche brands, which is surprising”, said Manish Rohilla, the marketing director at Vardhman, a major Indo-Japanese firm well-known for its collections of classic shirts. The same reaction was found at Faric Garment Enterprise, a Chinese contractor for made-to-measure. Sumei Zhang, who was in charge of the stand, says: “It’s the third time we’ve attended and each time we do plenty of business. This session was very steady and satisfying and we will be leaving with some projects for collaboration with European and American firms that are already well underway but also some with Hong Kong!”. Principals also spent a lot of time in the national pavilions, like those of Pakistan, Bangladesh or Vietnam. In particular, Hong Kong stirred a lot of interest, thanks to its long history of connections with Western brands, which makes some processes easier. Vietnam and Sri Lanka were also able to make the most of the situation, thanks to the interest aroused by favourable business prospects promoted by their governments. However, meeting customer requirements is not the only task for principals and making discoveries is another. Taking the example of Miao embroideries from Shenzen Oriental Secret, an embroidery company for fashion accessories that takes advantage of traditional skills from inland China, such as the embroidered kimono for a price of €19,000. “We’re thrilled. Our embroideries for accessories were very successful with well-known fashion brands, whereas the traditional embroidery caught the attention of designers, an audience that we didn’t attract before”, said the managing director Sheng Ling. The Services powered by Mouvtex, the new offer at Apparel Sourcing Paris, assembled a dozen firms that provide solutions for locating sourcing, international payments, legal guidance, assistance in prototyping, management consulting. It certainly found its audience while attracting a lot of interest thanks to workshops held in parallel. From Workshop to Shop: Sustainability & Style, in its dramatic setting, could not be missed. Organised by the CCIPT-Tex (Sub-Council for the Chinese textile industry), the exhibition showed that Chinese ready-to-wear is certainly the equal of Western collections in terms of style but also when it comes to sustainable development. 13 brands from clothing manufacturers exhibiting at the show presented a large range of menswear, womenswear and children’s wear and merited two catwalk shows. Ms Yan Yan, deputy director of the China Textile Information Center, explained during a lecture how sustainable development is becoming established in the clothing and textile industry, and especially in the long range. The segment for complementary products for clothing, accessories remained very appealing, in particular with regard to belts, hats and bags. The show for textile accessories for the upper body, Shawls&Scarves, was no exception to the rule. So healthy business for pashminas and cashmere from China or Nepal and linen ranges from India. One of the features of this 43rd edition of Fairyland for Fashion was the sizeable attendance at all the lectures. One of Apparel Sourcing’s strong points. The lecture about the Chinese industry and that from the Deutsche Institute für Textil und Faserforschung (the German Institute for textile and fibre research) on the future of micro-manufacturers left a lasting impression. The Agora, located nor far from The Dressing, a showcase for exhibitors’ best creations, also hosted lectures on the season’s trends and colours. The clothing expertise from Bangladesh, Sri Lanka, Vietnam and Cambodia, namely with the designer Natacha Van, was put on show at the ever-popular catwalk shows. Apparel Sourcing Paris together with Shawls&Scarves undeniably has established itself, year on year, as the must-attend meeting place for players in the global industry for clothing and fashion accessories.